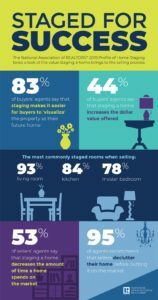 The annual Profile of Home Staging is out, from the National Association of Realtors. Here is a sampling of the information contained in this report. Staging works! View the full Profile of Home Staging for additional statistics.